so far on this project, now available to you! Just click on the download link above. from the game Batman: Arkham Asylum. 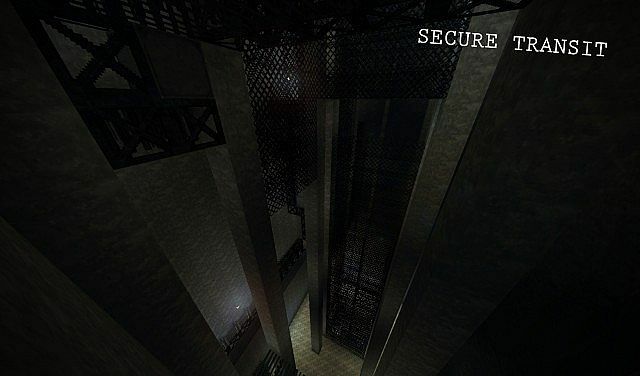 The Asylum, being built according to the in-game one, is almost exactly like the original. Along with having it's own texture pack that mimics in-game textures and atmosphere, it will play along the same way that the game does. What you can expect when this world is finished is a complete Dark Knight experience. 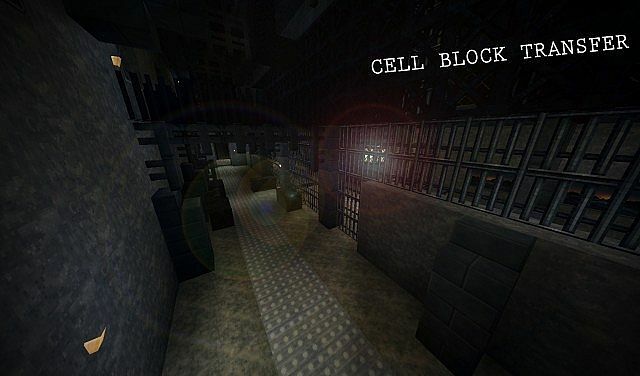 Once all parts of the Asylum are complete, the world will be released as a Free-Roam version for those that want to walk around and compare it to the original. Q): Can I help build? A): While we appreciate your interest, we are not looking for new builders at this time. Q): When can I download the world? A): We have released the world as it currently is. Link is above. Q): What is the resource pack? 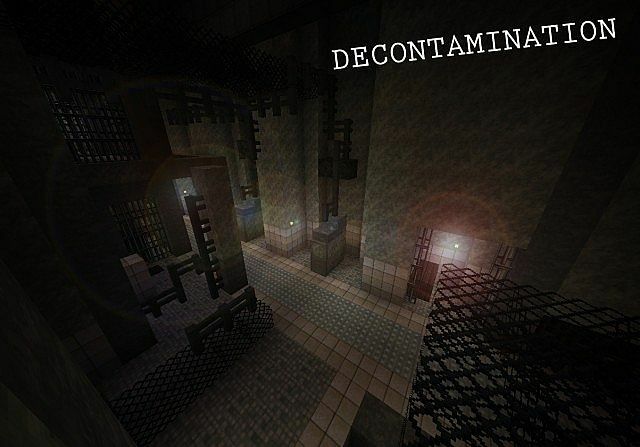 A): It is a custom resource pack designed specifically for this project. 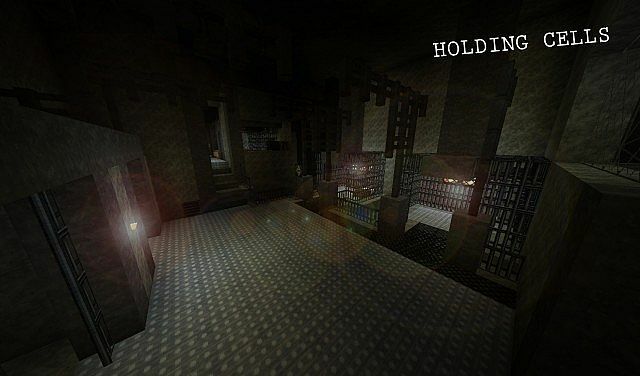 It isn't something you'd use for regular Minecraft use as most of the blocks are textured to look like something else. Q): How long will this take to complete? A): This is a long process, so there is not good way of knowing when we will finish. It is quite possible we'll get it done by this year. We constantly post on the Update Log; you can find detailed updates on what we have completed. It is the best way to keep up with the progress of this project. I haven't forgotten about this project. Sorry for the hiatus. I'll get a update out if I can soon. Is this project to be considered discontinued? have you done the fear world? Hey is this thing dead? Please keep on going and do this its the the best! i would really want a blog on how to make a batman map. can not figure out. when arkam knight is out, will you make a map of that? I'm a bit confused, where's the resource pack? Ok, never mind. I thought you downloaded the resource pack seperately. Nice map! 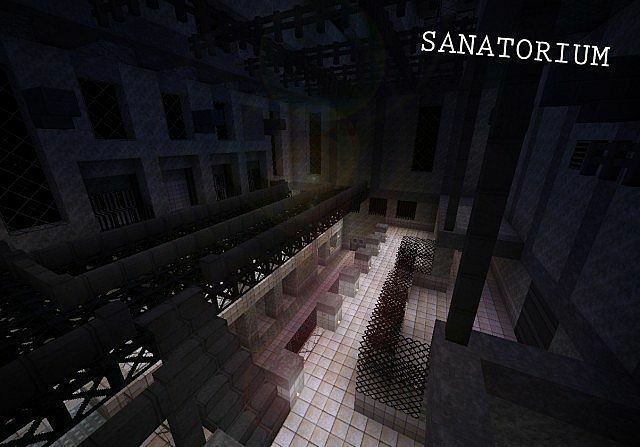 Umm, I re-downloaded it because I blew it up (Just for fun no hate) when I first downloaded it, I spawned in the asylum. And now, I spawn in a village. ??? Who thinks that you will be able to go to or inside 'Arkham Asylum' in Arkham Knight, bescause some of the dev's said that what every you see, you can go to? Maybe a few years later, after you finish, start building a bridge off of arkham, then a huge island. And guess what 97% of these people want on that island? : GOTHAM CITY. (btw all of gotham city, when you get arkham knight, explore the whole city, and then memorize it.) Please do this. I would REALLY appreciate it and also I would scream. IM SO LOST HELP ME !!!!!!!!!!!! the cape isn't included, that was photoshopped in. And as for your download problem. 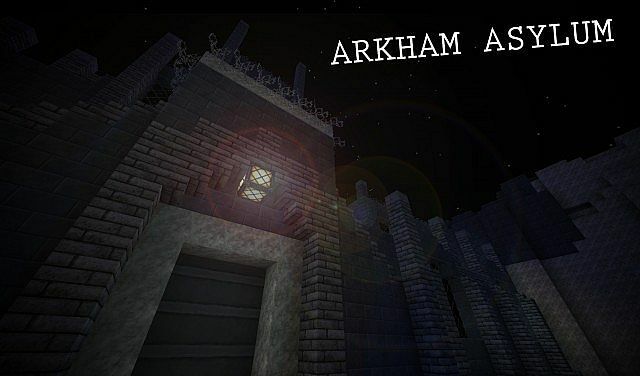 Make sure you put the "Arkham Asylum" foldier in the saves, not the "PROJECT ARKHAM" zip. If you did do that, then I'm not sure what is wrong. Can you make a version of this map that has a file download instead of .rar? I can't download .rar Upload a version of this map that has file instead of .rar because when I saw this I was like omg awesome and I found out it was .rar and I can't download those. THX ALOT DUDE! I GOT THE RESOURCE PACK AND MAP! THANKS! and it should go to youre downloads and its a normal file ! 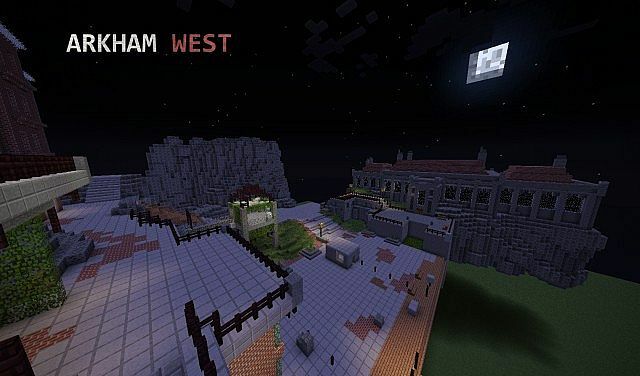 Are you still working on this map? Mind if I use parts of this map and put them into a functioning minigame of some sort? Full creditation, of course. Should totally make Gotham City on the same map. Might take a while though. You get a ♦ for awesomeness. That isn't 1:1 ... That's about half size. The Asylum doesn't even look the same. Just look at the pictures. This isn't a re-creation, that's for sure. But it's a cool build. Each block in MC is 1 metre. The scope of AA is different, so things seem smaller here because of the difference in the actual games. Yes, there will be a lot more screenshots coming. We have also decided, that we will upload more of the world. 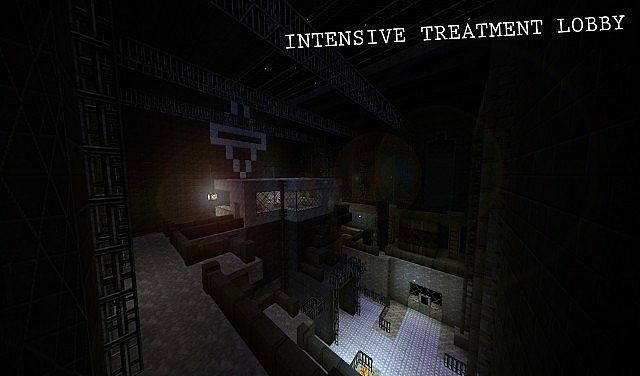 So Intensive Treatment, Medical Facility, Penitentiary and the outside will be available. Hey I can't get the texture pack into my game. Any suggestions/help? 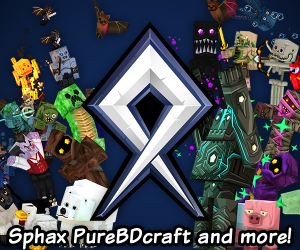 The texture pack hasn't been updated to the new resource pack format. I'll update it soon. To Wbjpen: love to hear that you are 49% done and just wondering with the finished screenshots, what program or shader did you use? You're a mad man. Pitchforks at the ready. How did manage to hire GOOD builders who are available and don't start ignoring you after some time? Well... We didn't. We tried to get some builders in the beginning, but it didn't work out too well. In the end, we decided we'd just do it ourselves. We've never actually said this, but only my brother and I are building this. Wow! Thanks for the reply! So I guess you also made the texture pack by yourselves? To Wbjpen: ruffley when would you be finished the hole asylum, and also love the new trailer, keep up the good work! Well, we've been at it for about a year. 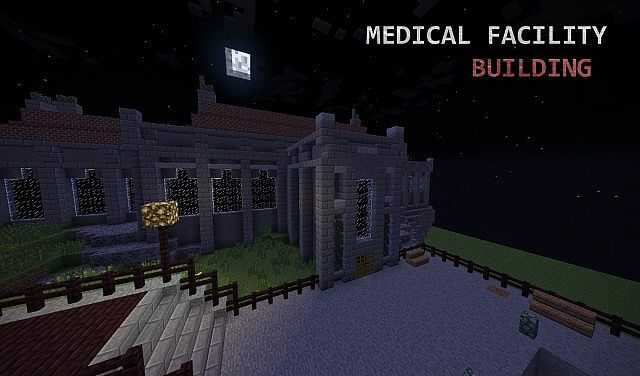 Intensive and Medical are were probably the hardest, Mansion might be somewhat hard. 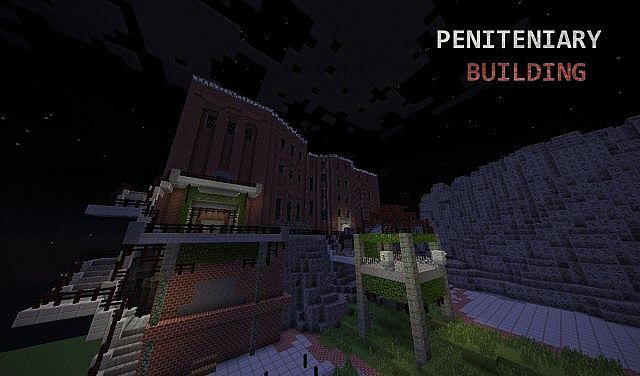 Penitentiary and Garden's shouldn't be to difficult. We have 2/4 of the outside done. It's really hard to say, it probably won't be done this year. You should do Arkham City. 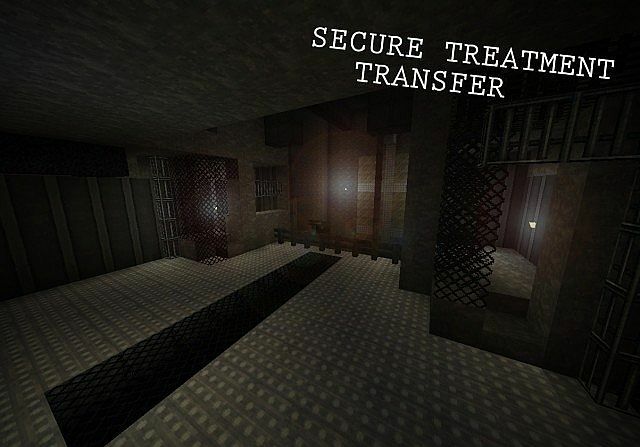 I Can't get in to the Medical Facility. Help me. To Wbjpen: what brightness do you recommend to use for the map, you no for all the dark and dirt look. 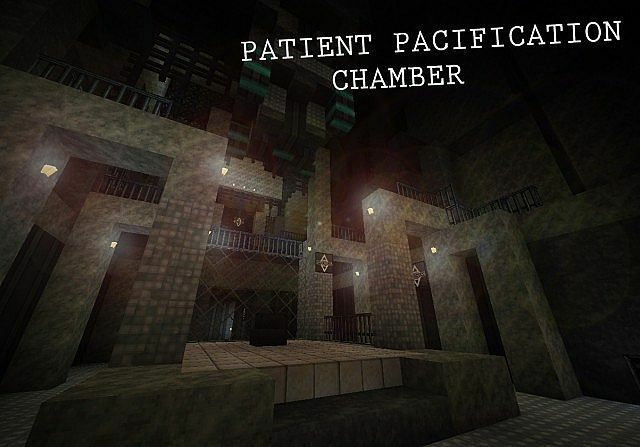 To Wbjpen: are you making the building in order of the game like you go in intensive treatment first, and ate you going to be making all the poison ivy plant things that she has done to the asylum. Q1: We did not intentionally build in chronological order, we just started building parts we felt like doing at the time. We thought about whether we should add the mutant plants for a while, and we came to the conclusion that it would obstruct to many things and would look kinda ugly, so no we won't be adding them. Q2: They were not deleted, just set to unlisted. We made them unlisted because they were old and did not properly illustrate the current state of the project. I'll put links to the old trailers above. Q3: We sometimes take screenshots from within the game and use those; other times we just create textures that look similar to the actual ones. To Wbjpen: on youtube why were your 1st and 2nd minecraft arkham asylum videos deleted.